I never learned how to sew. I once took a sewing class in Junior High School. Home Economics, I think it was called. I made a pair of shorts with fabric that had some sort of a red, white and blue Stars and Stripes pattern on it. I wonder why I chose that fabric. 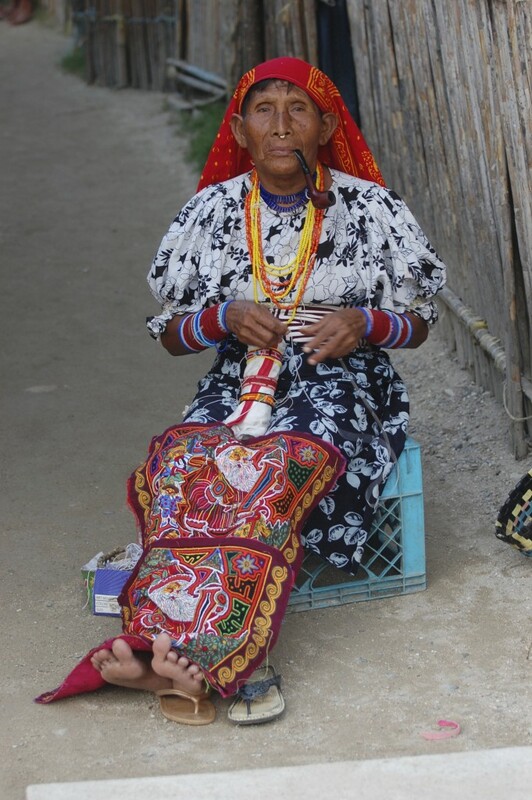 I wonder how this Kuna decides what she will sew with every mola that she makes.